The Midas Tree » Lessons of the Tree » Do Trees Store Information? Since writing the Midas Tree, my daily meditations include a session on guidance from the tree. I visualize the tree and am guided to look into a particular aspect of character in more depth. Today I was guided to one of the outer twigs in the uppermost canopy of the tree. It reminded me of an antenna, which as I’m sure you know is a device designed to receive or transmit electromagnetic energy waves, such as radio waves. In a recent conversation, Marnie Hancock told me that she believed that trees were the record keepers of the earth. She said they were the planet’s antennas, and they could receive information, as well as store and transmit it. At the time she told me, my intellect was not convinced. So just to bring the point across, my intuition brought me the same information when I myself was in a more receptive state. Marnie told me a story about a tree in Sherwood forest called Major Oak.The tree is up to 1,000 years old and according to local folklore, was Robin Hood’s principal hideout. 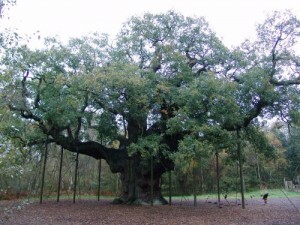 She visited this tree many years ago on a trip to the UK and tuned her spiritual antenna into what the tree had to say. It told her it had been recording the history of the region for many hundreds of years, and before it passed it wished to pass the information on. By Destroying Forests Are We Losing Our Heritage? This is the story of a single tree. What about the enormous amount of deforestation that has occurred on this planet over the last 100 – 200 years? Very few undisturbed ancient forests remain. If Marnie’s story is true then we may have been destroying more than our environment. We may be destroying our heritage. It’s also poignant to think about how we created paper from trees, and how we use that paper to record information. When the Europeans invaded the New World they not only destroyed the ancient forests, but they also burned the books of the people they invaded. The recorded history of these people was destroyed on more than one level! I am also reminded of another recent conversation when I was visiting Belize. I was told that many of the Maya transitioned into another dimension or reality at that time. There are those who believe that the wisdom known to spiritual adepts of those people was made unavailable to us until such time as we would be capable to use it wisely. How Can We Retrieve Lost Information? 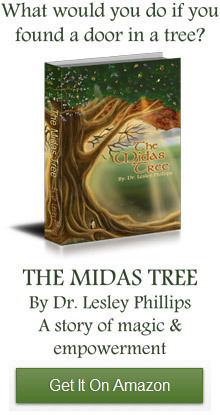 I believe that time is now, which is why I wrote “The Midas Tree,” so that the ancient spiritual mysteries can be made available to a much wider group of people and be made available in a form that is easy for anyone to understand. No matter whether they are 8 years old or 80! Of course no information can ever really be lost. This is true according to the laws of physics that state energy can never be truly lost, although it may undergo a change in state. It is also true according to the laws of metaphysics, that state everything is part of God (“The Great All That Is) and God is eternal, ever present and ever changing. Any information that you need to know can be instantly available to you. All you need to do is learn to use your spiritual gifts as Joshua does in the Midas Tree!